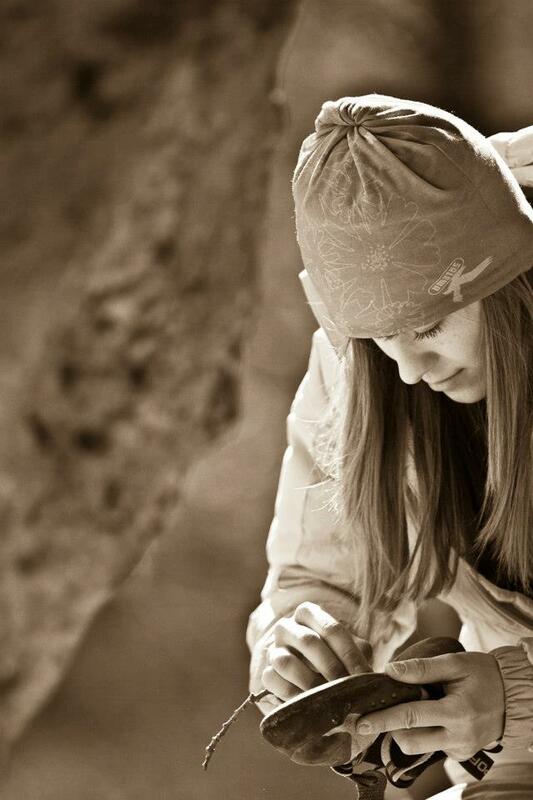 I started climbing when I was 15 years old. From the very beginning I was totally psyched about everything, what was connected with climbing: training, rocks, people, travelling. I still can remember, when I was in school, I was counting the hours till the next training. 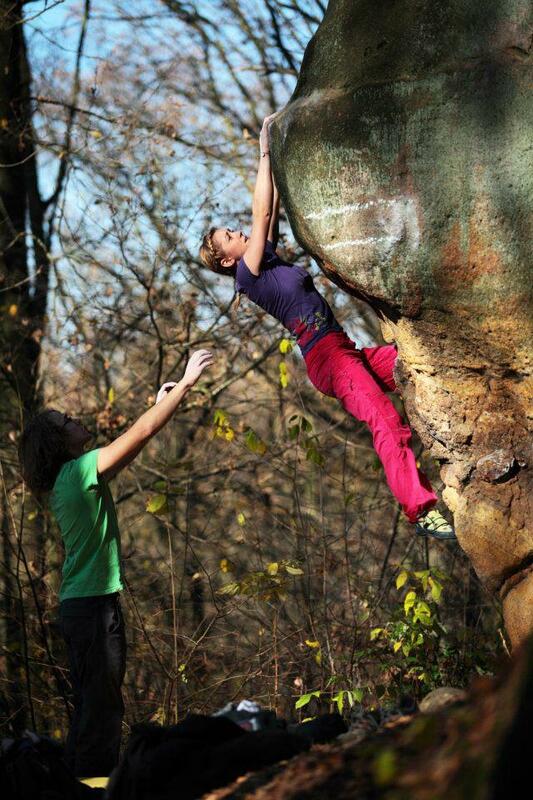 Together with my twin sister Klaudia, we were very motivated and dedicated to climbing and to push our limits. 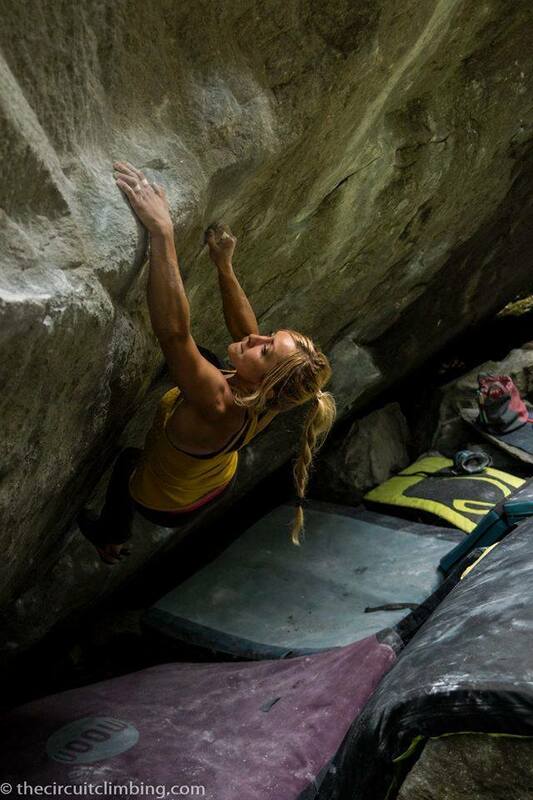 What makes me happy in climbing is always the variety of movements and new challenges. 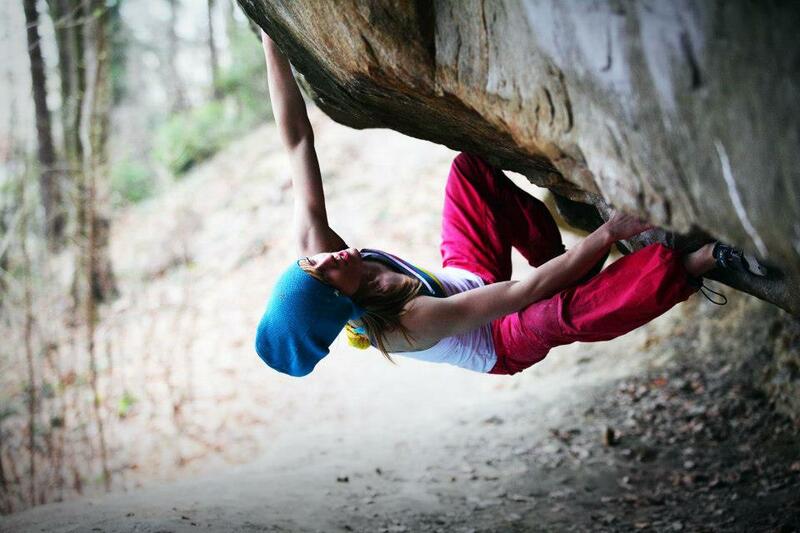 Bouldering and sport climbing are the activities where I found myself. I like to do both things. 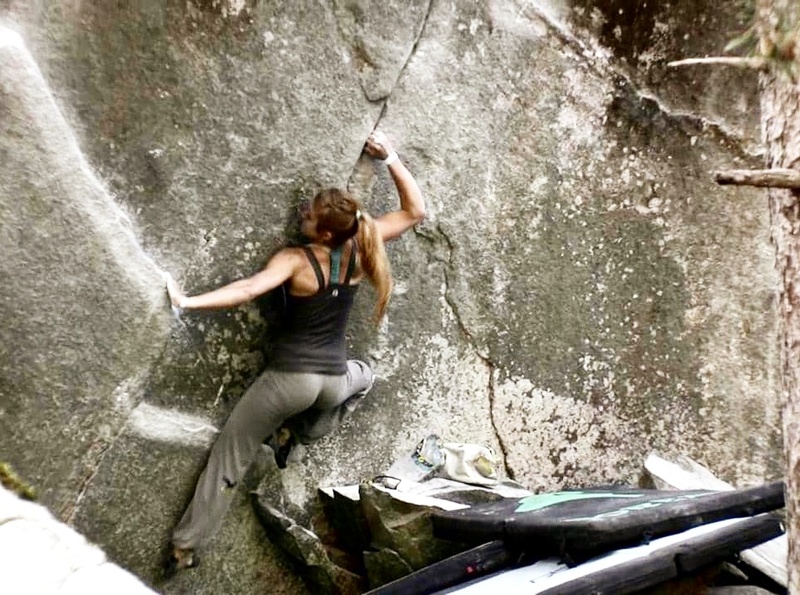 As I can remember first I was more dedicated to climbing with rope and then suddenly I started to achieve pretty good results in bouldering competitions and that was the reason, why for some years I was doing actually only bouldering. I was very dedicated to competition and trained a lot in climbing gym. 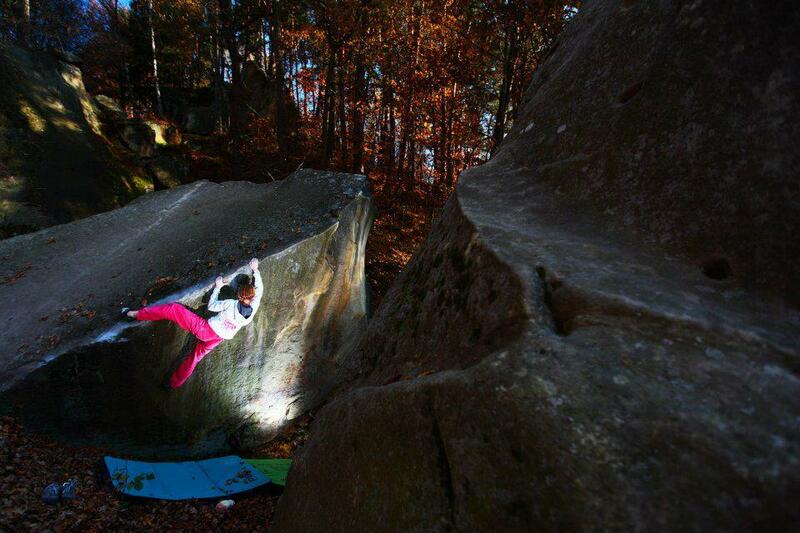 I managed to win 10 times Polish Senior Cup and Polish Championship in bouldering. Since last year I’m more climbing in rocks, both bouldering and sport climbing. 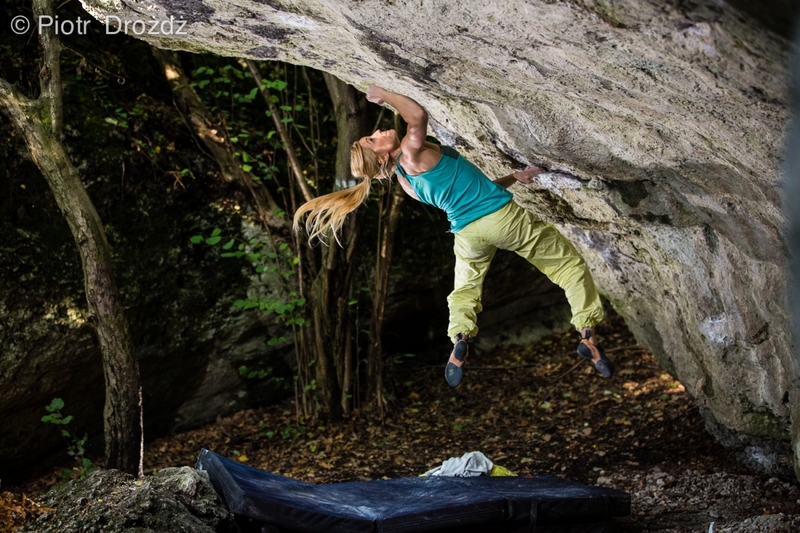 With my ascent of Freerunner 8A+ in 2015 I managed to be the first Polish woman, who reached this grade in bouldering. All styles of climbing are actually of interest for me. When I was 19 I started to study biomedical engineering in the University of Science and technology in Krakau (POL). Now I’m living in Germany, where I work as a personal trainer, train and write my Master-Work in University in Siegen. I would like to be satisfied both in bouldering and rope climbing. 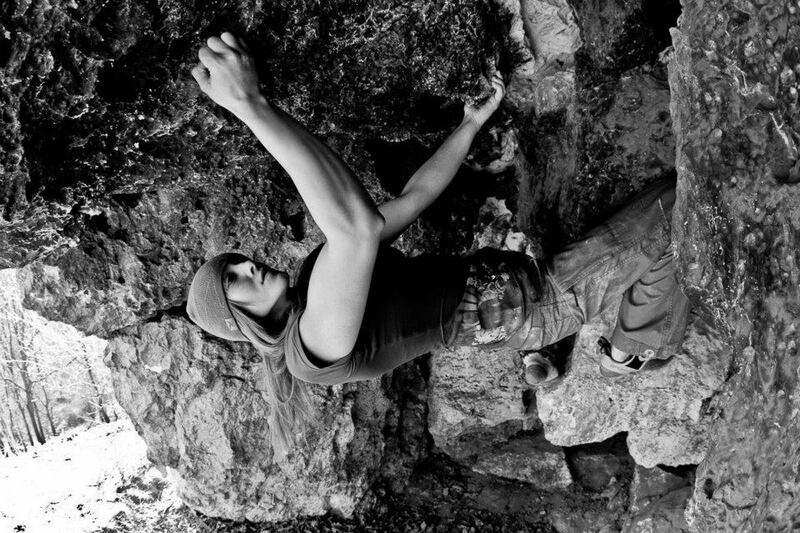 My dream is to be able to travel more to push my limits in rocks, making harder moves on higher walls. 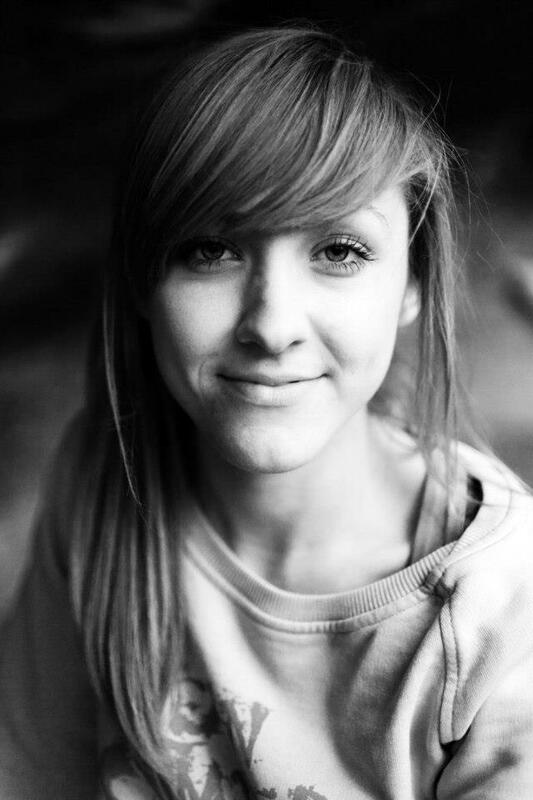 I still have a lot of things to learn and to improve in climbing and all these things are extremely motivating for me. Last year (2015) I managed to send Freerunner 8A+ in Austria, that is the first female ascent in grade 8A+ in Polish history. 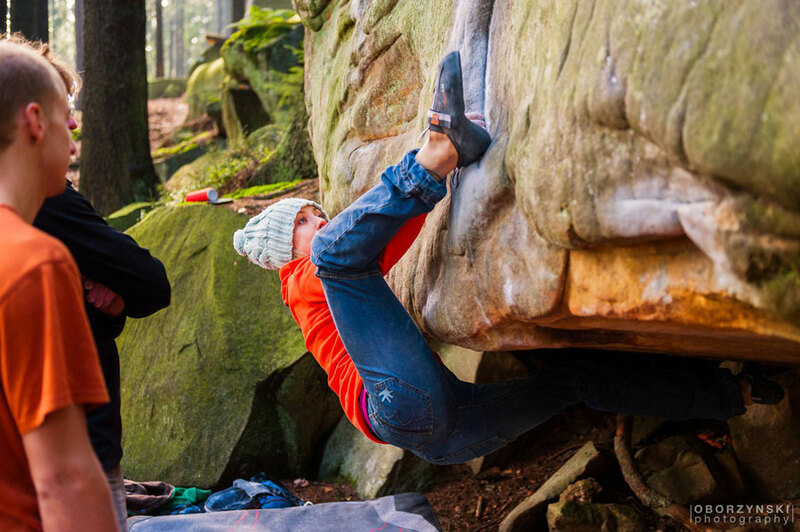 Actually bouldering can test everything. It’s really hard to say which skills are the most important, it favors all-round climbers. If you want to be good in competition you need to learn a lot of route setter tricks with some parkour, climbing on volumes or complicated jumps. In rocks you can meet everything, pretty always are powerful, far moves or super small holds so it’s important to be very strong. What usually count are the pure power, body tension and lot of finger power. Actually I’m pretty always satisfied. For me important is not only sending stuff but also the work on my projects, or just climbing some beautiful lines. Of course those moments when I finally did my dream boulder or when I sent a hard route in a limit is an amazing price for the work, you need to achieve the goal. But very similar feelings I meet when I connect the cruxs moves on the route I try or when I sent some nice line in first try, so every time when I did my best. Hard training is a key to my success. I train a lot, usually 5 times a week and sometimes two times a day. Usually I train in a boulder gym, but when I have a possibility to climb outside I do it. In my training I’m focusing to eliminate my weaknesses and improve my strength points. Sometimes it’s very hard to do even a little step forwards and so it’s important to be really patient, just keep calm and do your work. My advice would be: find your goal, think positive, be very motivated and believe in yourself. To reach some big things, which seem to be impossible, you need to go out from your comfort zone. The difference between the people, who achieve their goals and the people who don’t, is often just a little moment when they decide to give up and other decide to put more effort and give everything. Keep the motivation high and fill it up, while looking for new challenges. I win a few competitions, being not in top-shape but 100% motivated to win, or I sent some hard boulders because I just was loving the movements and climb on it. I would say everything is in your head. Being happy, climbing and finishing successfully my study. I want to improve myself more in rocks in bouldering, I don’t feel like to be close to my limits so far, so I feel like I can do more. It will be amazing to travel to USA, Australia or Africa for climbing trips and see some new exotic places. My dream is also to be back to my first idea as I had in climbing so to do more rock climbing with rope and really develop myself in this area. Rock climbing with rope makes me already very motivated and I have a lot of projects in my mind, multi-peach routes as well. Climb a lot different things and just have fun. It’s also always very good to keep a healthy life style with enough sleep and good and clean eating.